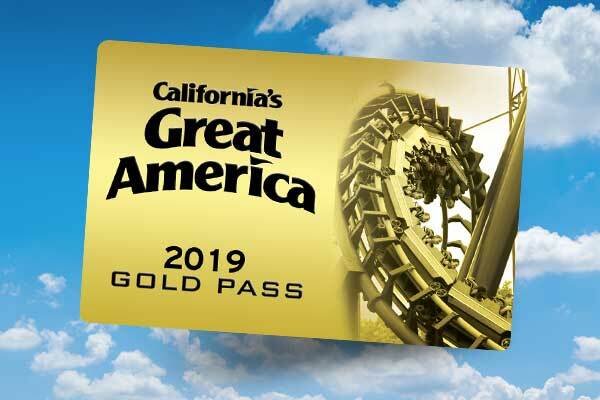 California’s Great America is undergoing a food revolution heading into the 2018 season with a full-service Starbucks®, French Quarter Funnel Cake & Churro, Sierra Creek Lodge and Orleans Candy Kitchen tantalizing visitors’ taste buds. Plus, Maggie Brown’s Smokehouse & Fried Chicken will receive an exterior and interior makeover for 2018. 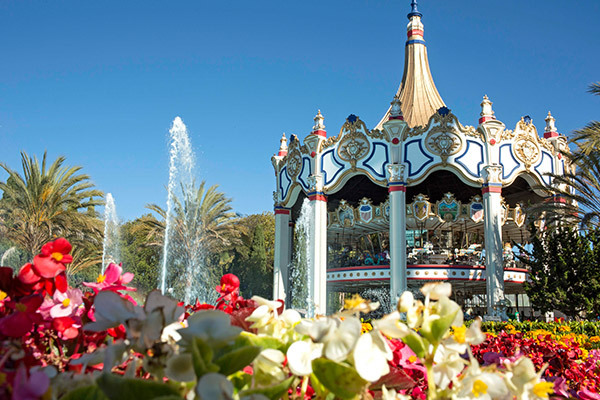 Our full-service Starbucks is situated in the park’s Hometown Square area, just past Celebration Swings. All Starbucks favorites, including classic coffees, Frappuccinos and Macchiatos, exotic teas, seasonal beverages and more are available during park visits. In addition, a full array of food choices, ranging from fresh sandwiches, fruit and protein snacks, and sweet bakery delectables like scones, bagels, cakes and cookies are served. Grab a seat in front of the oversized windows that provides a wonderful view of the midway, or enjoy the outdoor patio's street-front, café ambiance. Take a trip down memory lane with the many images from Great America’s historic past that adorn this Starbucks's walls. An entirely new home is being constructed for French Quarter Funnel Cake & Churro. 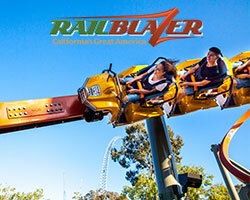 The ever popular Great America funnel cakes will be taken to another level in 2018 with a myriad of flavor combinations that can be mixed and matched to individual preferences and will be created right in front of you. The churro selections will amaze the senses with Campout (think S’mores), Key Lime Pie, Strawberry Shortcake, Creamcicle, Cookies & Cream, Tropical (coconut, pineapple and rum flavor), Macha (white chocolate and Bavarian cream), Cotton Candy, Apple Pie and many more flavors. 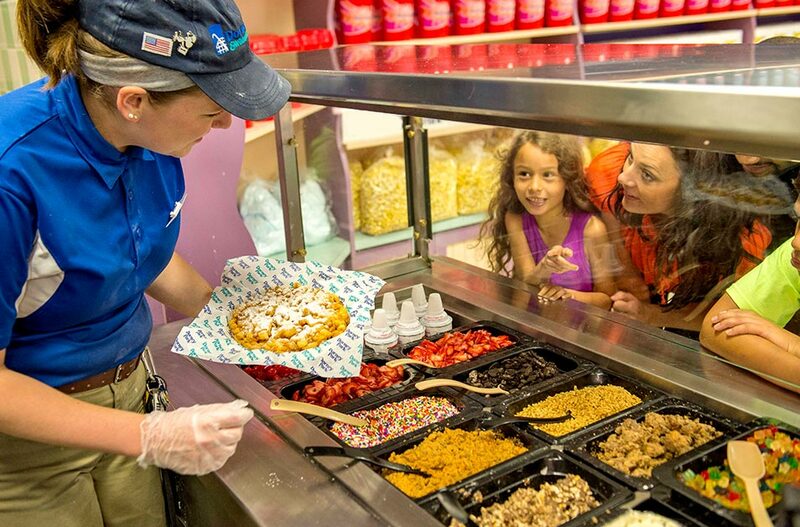 The classic strawberry and powdered sugar funnel cakes are here to stay, but will be joined by blueberry, caramel, apple, cookies and cream, coconut and pineapple and more. Enjoy your personal creation on the new patio, situated where Sweet Tooth was previously located. Dining in Planet Snoopy will take on a whole new flavor and feel, as Joe Cool Café is re-imagined into Sierra Creek Lodge. The family dining experience will introduce a mountain lodge feel from the exterior woodwork to the interior décor. 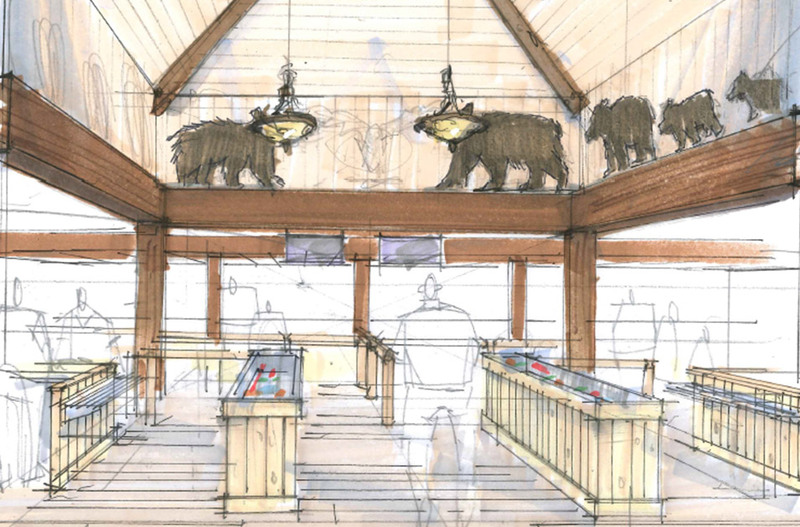 Murals featuring bears and other wild animals will don the walls and the indoor furnishings will add to the Sierra atmosphere. The serving lines will be doubled for faster service and there will be an extended patio for families to gather. New food selections will include a Panini bar with four tasty options and a Barrilitos® station with agua fresca pairings, including pear and cucumber, mango and lime, strawberry and hibiscus, and pineapple. 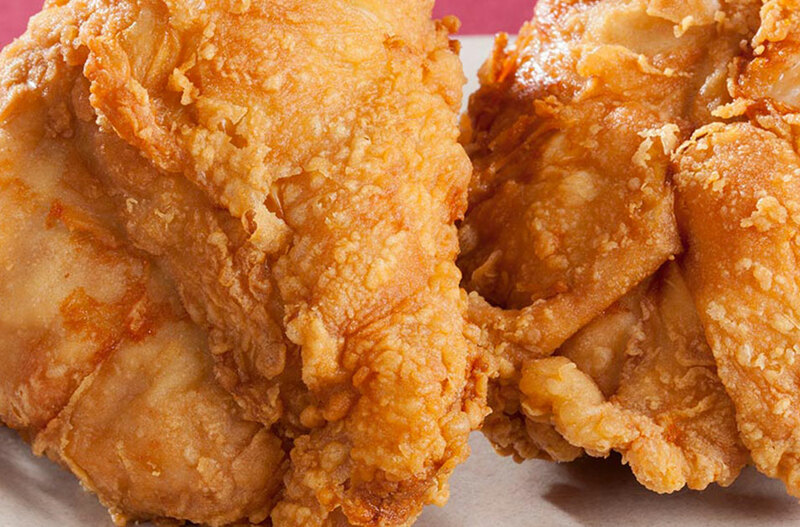 Kid favorites from chicken tenders, to mac and cheese, to pizza will still be available. 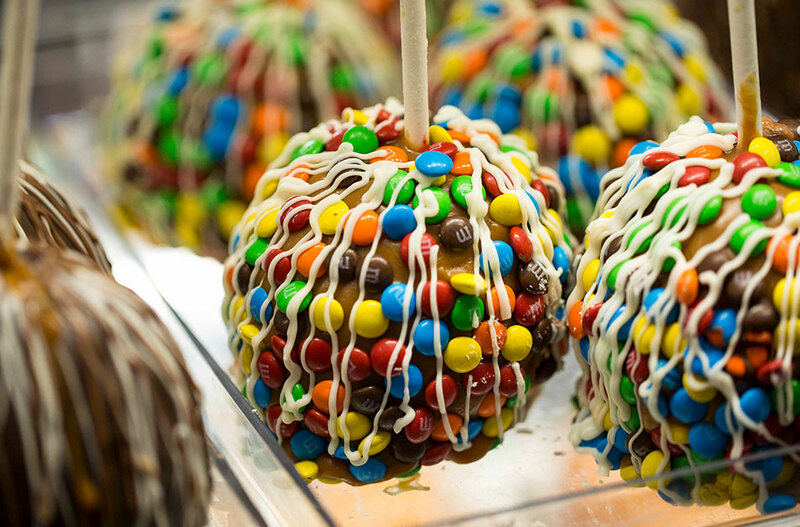 Another sweet food addition for 2018 is Orleans Candy Kitchen, where you can order specialty caramel apples, choose their personalized toppings and have the delectable favorites made right before your eyes. From classic caramel, to home-made pralines, to an assortment of crushed candies and nuts, the possibilities are endless. Candy aficionados and guests of all ages will be drawn to the fudge making taking place in the front window of Orleans Candy Kitchen. Peanut butter, caramel, strawberry, white chocolate, and cookies and cream are just a few of the tantalizing flavors. Orleans Candy Kitchen will provide that old-time candy shop feel with a cornucopia of salt water taffy offerings, chocolate covered Oreos® and crispy rice treats and a wide assortment of Bay Area created Jelly Belly® flavors. Orleans Candy Kitchen replaces Trending Now. 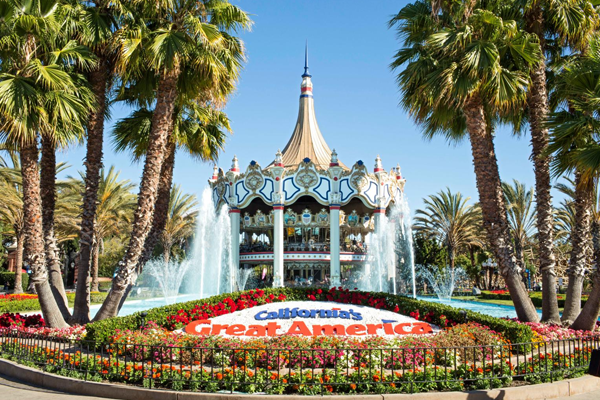 In 2017, the iconic Great America restaurant reinvented itself by delivering mouth-watering barbeque favorites like brisket, pulled pork and ribs. 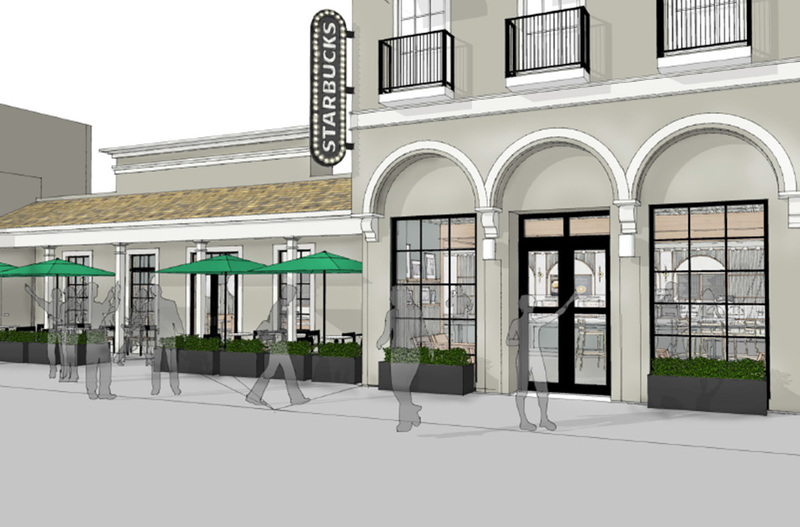 Now the dining experience will be modernized with more ordering kiosks for faster service, a giant rotisserie and smoker visible to patrons, and an expanded outdoor patio, as well as interior design renovations.